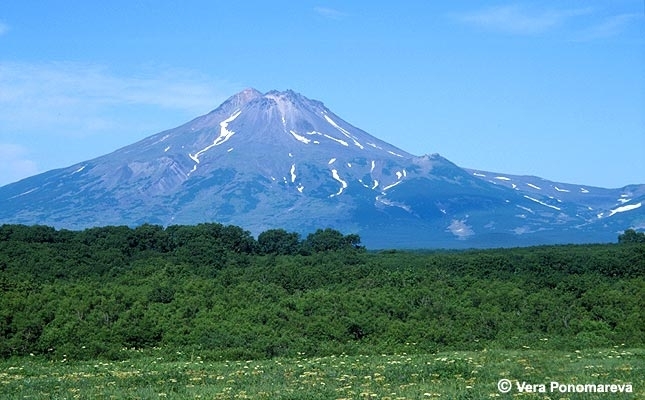 Rim of presumed Late Pleistocene caldera is seen on the right (ESE) slope of the volcano. Summit part of the volcano consists of a series of extrusive domes of different ages. Mid-Holocene beach ridge, covered with trees and bushes, is at the foreground. 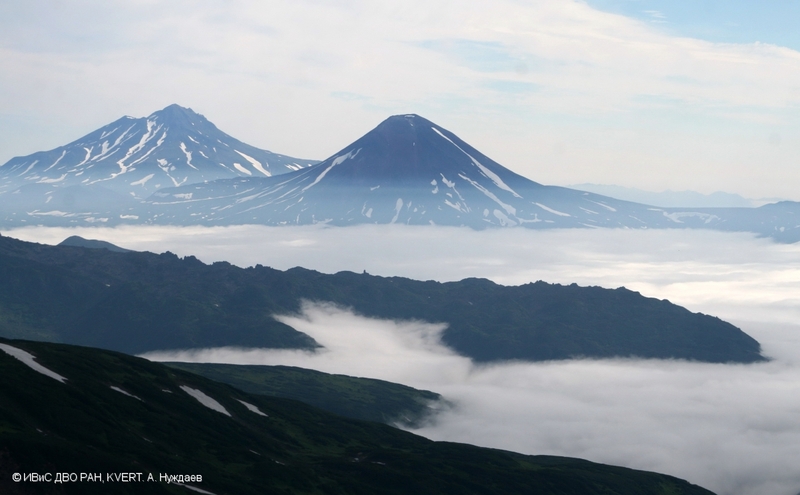 The weather is typical for Kamchatka photos.